Over the past year we have begun to get more confident and enthusiastic about weekends away. When the children were younger, there was a certain level of anxiety about sleeping in a new bed and nights away from home were long and exhausting. However things have improved and with planned sleeping arrangements we are able to enjoy our time away. This weekend we went to my sister-in-law’s in Exeter. Its quite an easy journey so after an early start we were there for mid Saturday morning. 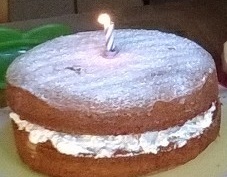 It was not only us at the house as my Father-in-law was staying too, celebrating his birthday with all his family. It was lovely to be able to give him such a special family day, birthdays are not about expensive presents but giving time and enjoying each others’ company. As the fantastic weather has continued, we went to Exeter quay to take a boat down the river to a pub for lunch. 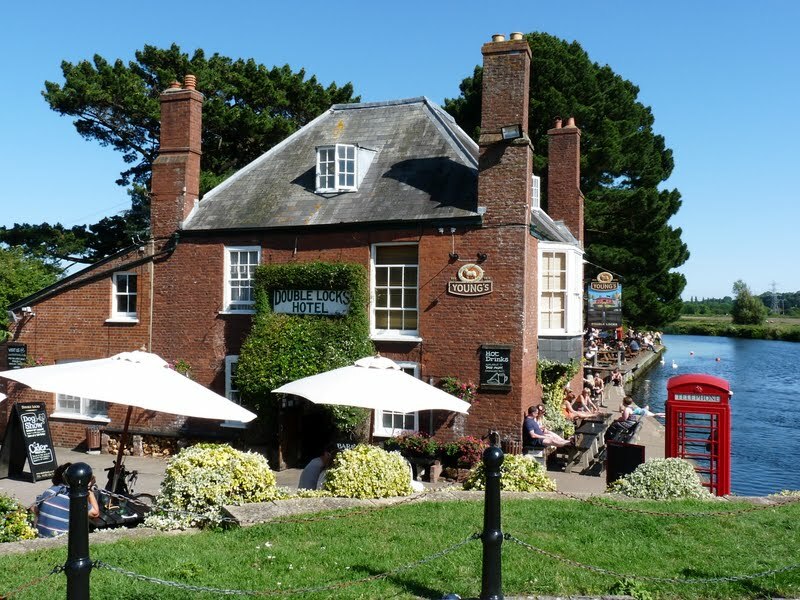 It was one of the most remarkable pubs I have visited, not easily accessible by car , so patrons tend to row, paddle or sail to it or use the adjacent cycle path. It had the biggest pub garden I have ever seen, a field filled with outdoor activities, an adventure playground, volleyball court and table tennis perfect for its clientele. Despite being busy, our lunch was served very quickly and the mezze platter was delicious. After lunch we pottered along the tow path and returned home for a play in the garden, cake and a lazy night of relaxed chat.